Fortnite Battle Royale Strategy...From Ninja Himself! This is an exclusive guest blog on Fortnite Battle Royale strategy from the one and only, Tyler “Ninja” Blevins—Twitch’s most popular streamer, and foremost Fortnite authority! Enjoy! What's going on Ninjas!? I'm going to be giving you all some tips and tricks and walk you through some things you should be focusing on in the beginning, middle, and end of your Fortnite matches to help you secure the W! SO GET OUT YOUR NOTEPADS. Alright guys, where you land is 100% the most important part of the early game. If you are going for the WIN and not trying to slay out, you want to pick a place that might be a bit of a trip from the path of the party bus. That means any spot on the outside of the map, which usually will not have more than 2-3 people landing there. It’s the perfect spot for you to be able to loot some houses or areas, and farm some mats. Be ready for an engagement, or you can just rotate away toward the center of the zone. Importantly, if you loot a chest and get some shields, but also hear another player, just focus on consuming the shield ASAP before the fight—EVEN if you have a good weapon. Rule of thumb as we rotate and enter into the mid-game is that you should ALWAYS be doing something. Looting, checking behind you, farming materials—anything besides randomly running around using ramps or wasting mats and never replenishing them. Materials WIN games, not your aim. I would say the mid-game starts as the first circle completely closes in. While you are rotating from the storm, and approaching the edge of the zone, you should be looking for players coming from other populated areas that are also rotating out. Consider the storm your friend (sometimes). If you stay close to it, you have 180 degrees of the map closed off, and can focus on what is in front of you. The mid-game, honestly, is the most random—it can be action packed or insanely dull. Depending on how confident you are in your skills, you can either continue to hug the edge and look for fights, or play it smart for the win and move toward the center of the next zone. Something I believe a lot of players think is that they HAVE to fight when being shot—but that is not the case at all! With materials you can run away and disengage and continue to rotate with ease as long as you don’t get lazy. So keep line of sight on the player giving chase—especially if they have the natural high ground. Pull back and use those mats to provide good cover to escape. Also, if you are now out of shields, consider running into an area that has already been looted, and hope it was hit by a lazy looter who missed crucial items. If you have made it this far then you can almost TASTE the victory. The second circle has fully closed in, and rotations are now easier as you can outrun the storm no matter what—as long as you're paying attention. If not, and you get caught, the damage it causes is punishing. If you are outside the safe zone, your priority should ALWAYS be "how am I going to rotate to the safe zone?" Constantly remind yourself of this and you will avoid many high pressure situations that force you to build, rotate, and block 1-2 players spamming you AND deal with the storm at your back. DO NOT stand still and challenge ANYONE. The circle is now way smaller and MOST players remaining have snipes. If you focus too much on kills or players rotating or fighting, you will be more vulnerable. And when you are vulnerable or even peeking out of your 1x1 base you can EASILY get sniped. So, pick your fights wisely. If you are going to shoot, make sure all other lines of sight are blocked and nobody can sneak a headshot on ya. The safest way to win end game is to sit safely in your 1x1 base and wait for fights to come to you. If you are confident, though, it's also very effective to rush other players while they are in combat, as you will most likely clean them up before they get a chance to heal. You can also use other people fighting as a perfect distraction to continue to move up and rotate to the safe zone if you find yourself outside it again. Last, the high ground is without question the most important thing at the end of the game. If you have it, you should secure the win easily. So, take your time, be patient, and wait for your opponent to make a mistake—or start to rotate, lazer them down, and if you get them weak, FINISH THE JOB. 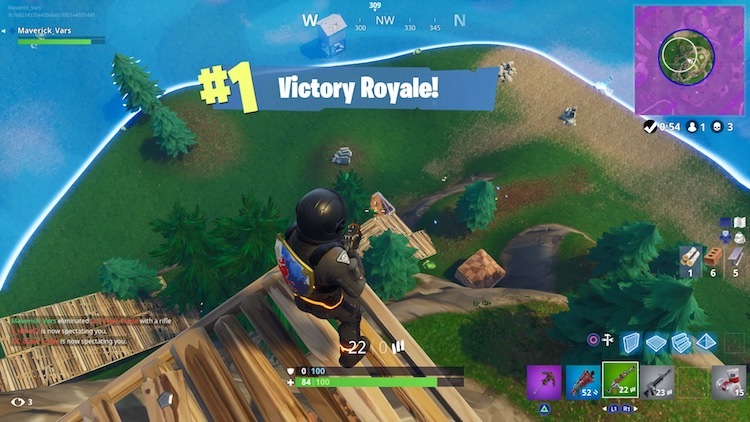 I really hope that you guys can learn something from this blog on how to win a Fortnite game! If you tune into the stream, I can answer more specific questions and sometimes explain situations as they unfold. BONUS: Ninja’s FAVORITE try hard combo: Assault rifle, Shotgun, Sniper, Explosives, Shields. 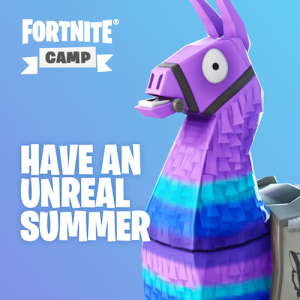 This summer, don't just play Fortnite—unleash the power of the game development tool used to create it. iD Tech is the first summer program on the planet to launch Fortnite Camp through our official partnership with Epic Games. 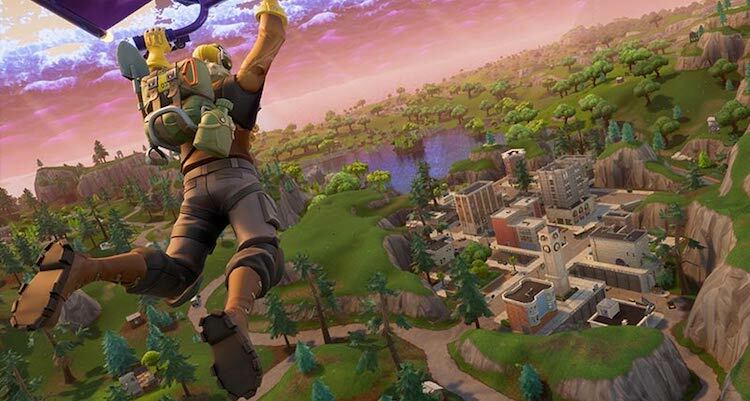 Design your own Fortnite-inspired levels while discovering gameplay strategies, game mechanics, team-building, streaming, and level-design analysis in Fortnite. As of May 2018, Ninja has accumulated over 10 million YouTube subscribers, and is Twitch’s most popular streamer—with over seven million followers and an average of over 80,000 viewers per stream. He holds the Twitch.tv viewing record, setting it in April 2018 with a live audience of 667,000 viewers.